Agatha Christie is one of the rare writers who has completely transcended pop culture to become a more or less permanent fixture in the literary filament. 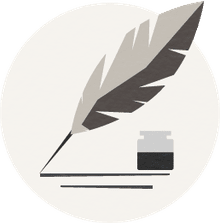 Most authors — even best-selling authors who won awards and enjoyed huge sales of their books — fade away shortly after they die, their work falling out of fashion. A favorite example is George Barr McCutcheon, who had several bestsellers in the early 20th century — including "Brewster’s Millions," which has been adapted to film seven times — and was quite the literary star. A hundred years later, few people know his name, and if they know the title of his most famous work, it’s probably because of Richard Pryor. But Christie is something else entirely. Not only is she the best-selling novelist of all time (certified by the Guinness World Record folks), her works continue to be extremely popular despite being products of their age, with descriptions and class attitudes that are either charmingly old-fashioned or alarmingly conservative, depending on your own views. Christie’s works are protected from the sort of rot that makes most non-literary classics fade from the public mind, of course, because they are generally quite clever, and the mysteries they describe and solve are crimes and schemes that could still be attempted today despite the march of time and technology. That makes Christie’s stories very adaptable, and indeed they are still adapting her most famous novels for television and film. Whether as period pieces or with effortless updates, these stories remain the gold standard for a “whodunnit.” On top of that, despite being a writer of paperback mysteries, a traditionally low-rent genre, Christie injected a certain thrilling literary adventure into her writing, ignoring the rules quite often and setting new standards. This is the woman, after all, who actually wrote a book narrated by the murderer himself that was still somehow a mystery novel. And that’s likely the reason for Christie’s continued popularity. Despite writing what could have been tossed-off novels that sold like hotcakes and were then forgotten, Christie managed a perfect balance between intelligent artistry and the red meat of surprise twists, sudden reveals, and convoluted murder plots. That literary intelligence, in fact, means that there’s a lot more than just clues to the mystery at hand in Christie’s stories — in fact, there are clues to Agatha Christie herself hidden in her prose. Christie was a surprisingly consistent writer; for decades she managed to turn out mystery novels that maintained a surprisingly high level of inventiveness and plausibility, which is a difficult balance to strike. However, her last few novels (with the exception of "Curtain," published a year before her death but written 30 years prior) showed a distinct decline, with poorly-conceived mysteries and dull writing. This wasn’t just the result of a writer working on fumes after decades of productivity; you can literally see evidence of Christie’s encroaching dementia in her later works. And we mean “literally” literally, because a study conducted by the University of Toronto analyzed her books and found that her vocabulary and sentence complexity decline sharply and perceptively in her final few novels. Although Christie was never diagnosed, the assumption is that she suffered from Alzheimer’s Disease or a similar condition, robbing her of her mind even as she struggled to keep writing. Heartbreakingly, it seems likely that Christie was aware of her own decline. The last novel she wrote before her death, "Elephants Can Remember," has a theme of memory and its loss running through it, and the main character is Ariadne Oliver, an author clearly modeled in part on herself. Oliver is tasked with solving a decade-old crime, but finds it beyond her ability, and so Hercule Poirot is called in to assist. It’s easy to imagine that Christie, knowing that she was fading, wrote a story that echoed her own experience of losing her ability to do something she’d always done so effortlessly. Christie’s most popular and enduring character is Hercule Poirot, the short Belgian detective with a keen sense of order and a head full of “little gray cells.” He appeared in 30 of her novels, and continues to be a popular character today. Christie set out to create a detective character that was different from the popular detectives of the 1920s and 1930s, who were often dashing, elegant, and aristocratic men like Lord Peter Wimsey. A short, tubby Belgian with an almost ridiculous sense of dignity was a masterstroke. Christie, however, came to despise her own character, and wished fervently he would stop being so popular so she could stop writing him. This isn’t a secret; Christie herself said so in many interviews. What’s interesting is that you can tell how she felt from the text of the books. Her descriptions of Poirot are always exterior — we never get a glimpse of his actual inner monologue, which suggests the distance Christie felt towards her most popular character. And Poirot is always described in scathing terms by the people he meets. It’s clear Christie regards him as a ridiculous little man whose sole saving grace is his ability to solve crimes — which was, of course, actually her ability to solve crimes. Even more telling, Christie killed Poirot off in 1945 when she wrote "Curtain," then stuck the book in a safe and only allowed it to be published when she was close to death. In part this was to ensure she wouldn’t die without leaving a proper ending to Poirot’s career — but it was also to ensure no one would be able to just pick up and keep Poirot alive after she was gone. And (30-year old spoiler alert) considering Poirot is actually a murderer in that final book, it’s easy to see "Curtain" as Christie’s bitter insult to the profitable character she came to loathe. The Pale Horse, by Agatha Christie. Christie created other characters aside from Hercule Poirot, of course; Miss Marple is her other famous character, but she also wrote four novels featuring Tommy and Tuppence, two cheerful blackmailers-turned-detectives. Only careful readers will realize that all of Christie’s characters exist explicitly in the same literary universe, as evidenced by the appearance of several background characters in both Marple and Poirot stories. The key novel here is "The Pale Horse," which features four characters who appear in both Marple and Poirot novels, which means that all of Marple’s and Poirot’s cases happen in the same universe, and it's conceivable the two crime-solvers might be aware of each other, if only by reputation. It’s a subtlety, but once you’re aware of it, it can’t help but deepen your appreciation of the thought that Christie put into her works. Agatha Christie was at one point one of the most famous women in the world. When she went missing in 1926 for 10 days, it caused a worldwide frenzy of speculation — and that was at the very beginning of her fame as a writer. Her writing is generally very measured in tone, and while she could take some pretty amazing chances with her work, the tone is generally very realistic and grounded; her literary gambits were more along the plot and narrative lines. She did, however, comment on herself in subtle ways. The most obvious is a single reference in the novel "The Body in the Library," when a child is listing the famous detective authors whose autographs he’s collected — including Dorothy L. Sayers, John Dickson Carr and H. C. Bailey, and Christie! So in a sense, Christie created a fictional universe in which an author named Christie writes detective novels, which will give you a headache if you contemplate the implications too much. Christie also modeled the “celebrated author” Ariadne Oliver on herself, and describes her and her career in deprecating tones that tell you all you need to know about what Christie thought of her career and her celebrity. The Murder of Roger Ackroyd, by Agatha Christie. Finally, Christie was always up-front about a central fact of her writing: She often had no idea who the killer was when she began writing a story. Instead, she used the clues she wrote just as the reader would, piecing together a satisfying solution as she went. Knowing this, it’s kind of obvious when you re-read some of her stories. One of the most famous aspects of her work are the numerous incorrect assumptions characters make as they struggle towards the truth. These are likely the very same possible solutions Christie herself tried and discarded as she worked towards her official resolution of the mystery. 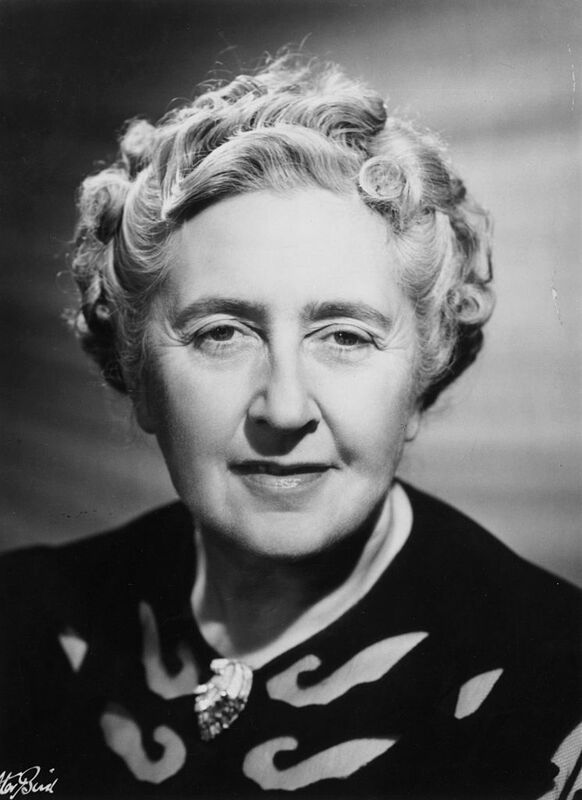 Agatha Christie remains incredibly popular for one simple reason: She wrote great stories. Her characters remain iconic, and many of her mysteries retain their power to surprise and amaze to this day — which isn’t something a lot of writers can claim. Who Murdered Miss Emily French? Forget The Matrix: Are We All Living in a Bret Easton Ellis Novel?